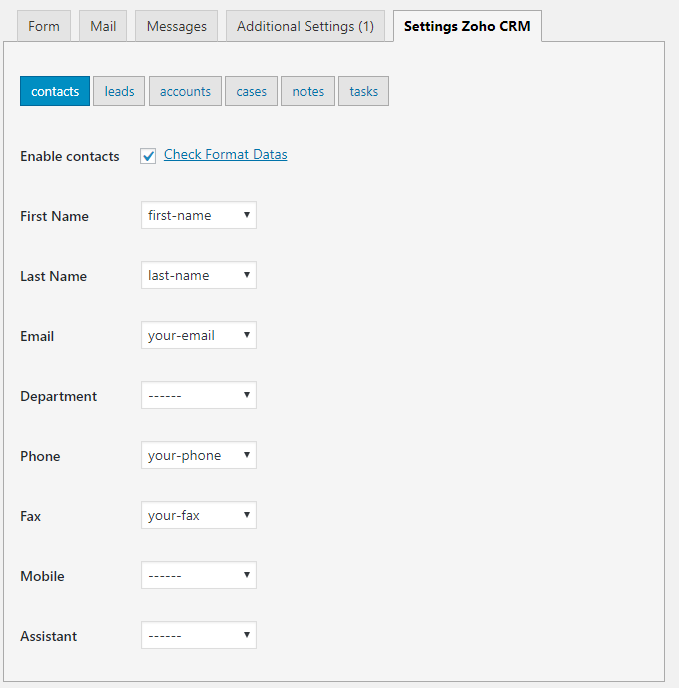 Contact Form 7 CRM – ZOHO CRM is a plugin for connecting your forms to your Zoho CRM, you’ll be able to monitor your best lead sources, follow up effectively with each inquiry, and convert those inquiries into more sales. After the integration, submitted the form are automatically added as lead, contact or case.You’ll save time and effort as each entry is automatically logged and categorized for you. Automatically create a new lead from your contact form. Track which web page or marketing campaign generated the lead. Record their interests and inquiries so you sell directly to them. You can choice that your want to generate – lead, case, account, note, task or contact. 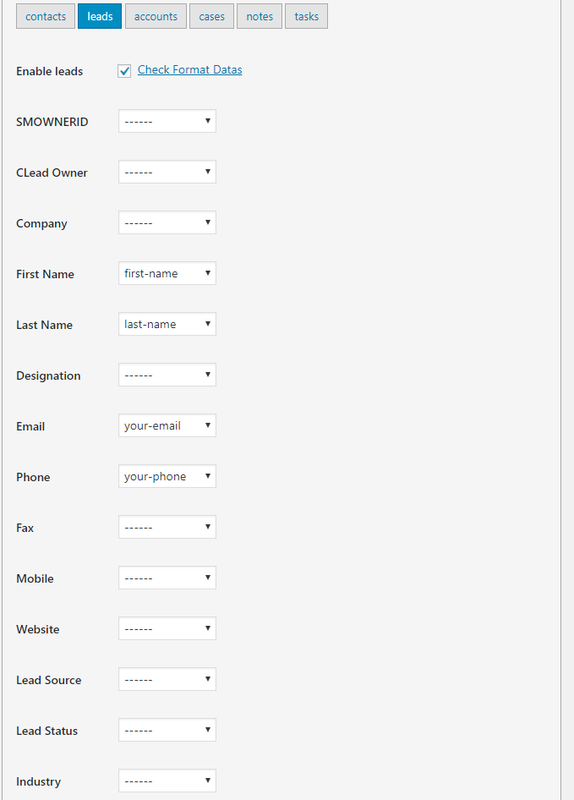 You can set up each form personally, specify which information your want to get.